Japanese and American forces scrambled to reach the downed C2-A "Greyhound" aircraft in waters off the remote uninhabited Japanese reef of Okinotori on Wednesday. The US Navy said the rescued personnel were being transferred to USS Ronald Reagan for medical evaluation and were in good condition. US authorities told Japan that engine trouble was the suspected cause of the accident. 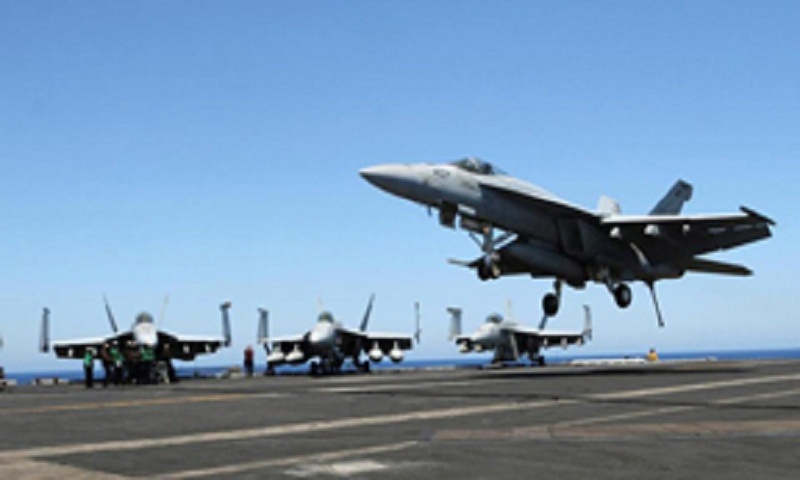 "The aircraft was conducting a routine transport flight carrying passengers and cargo from Marine Corps Air Station Iwakuni to USS Ronald Reagan," the US Navy said in a statement. The aircraft carrier was in the Philippine Sea as part of an exercise with Japanese forces, it said. In Tokyo, Defence Minister Itsunori Onodera said a joint operation had been launched. "Currently a search-and-rescue mission is being conducted in the area by the US side as well as the Japan Maritime Self Defence Force," he told reporters. "From the US military, we have received an initial report that engine trouble might be the cause," he said. The US military has a heavy presence in the western Pacific, with tens of thousands of troops and billions of dollars' worth of hardware stationed throughout Japan and South Korea. But recent months have taken their toll on the Seventh Fleet, which is headquartered at Yokotsuka, near Tokyo, and US military vessels have been involved in a number of accidents. The USS John S. McCain collided with a tanker off Singapore in August, killing 10 sailors and injuring five others. Two months earlier in June, the USS Fitzgerald and a cargo ship smashed into each other off Japan, leaving seven sailors dead. There were also two more, lesser-known incidents. In January USS Antietam ran aground near its base in Japan, and in May, USS Lake Champlain collided with a South Korean fishing vessel. The nuclear-powered Reagan is one of 10 Nimitz class supercarriers, which the US Navy describes as the largest warships in the world. The Reagan has a crew of 4,225 and is 333 metres (1,092 feet) long. Last week it was one of three American aircraft carriers that held rare joint drills in the region, joined separately by Japanese navy and South Korean warships over the weekend. The drills come as tensions persist between Washington and North Korea over its missile and nuclear programme.